The church on the corner of E. 9 Mile and Bermuda will be gone before it reaches its 100th birthday. After years of contemplating a feasible use for the deteriorating building, the owners have decided to move forward with plans to demolish it and redevelop the property from scratch. The City of Ferndale approved the demolition permit and the church will likely be gone by the end of the year. What is best known as St. Paul’s United Methodist Church was the first church built in Ferndale, having been completed in 1920. 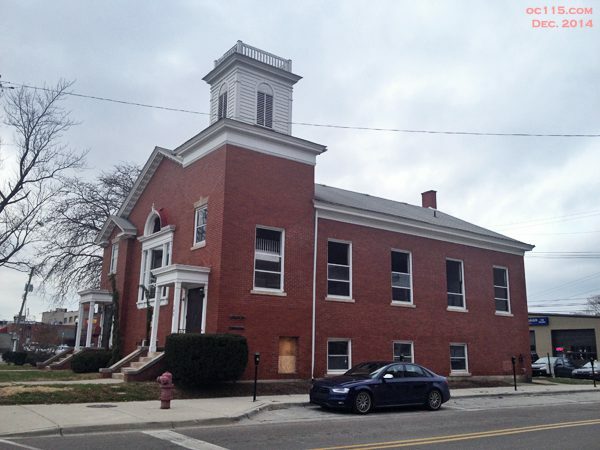 The traditional brick building with the white trim and tower has been a focal point in Downtown Ferndale, serving several congregations over the years but also sitting vacant off and on for several years. He understands the feelings of those who will be sad to see the church go. “Like most things in the world, change is hard. But this short term loss is part of a long term plan that will create something beautiful for everyone,” Dorfman said. The City of Ferndale’s Development and Building Departments worked alongside Dorfman in trying to come up with ideas that might save the building. Ultimately though the City had no reason to deny Northstar the demolition permit, since it is private property. “The City recently received a permit application to demolish the former church building located at the corner of Bermuda and E. 9 Mile road. The demolition of the property, which is privately owned by Northstar Properties, is slated to take place by mid-December. 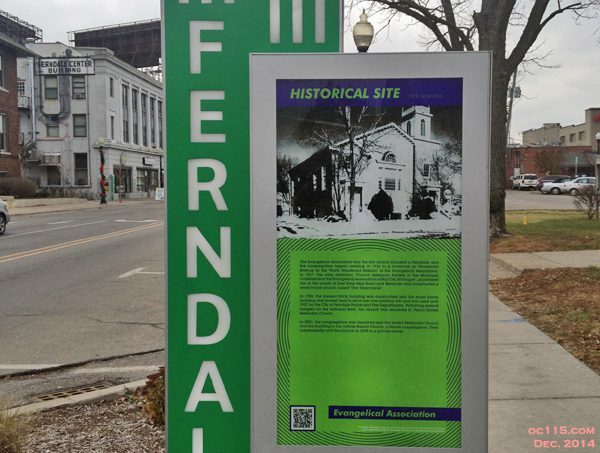 The Ferndale Historical Society will be meeting in the next few days to compose a statement, but they too have no legal authority over the building. 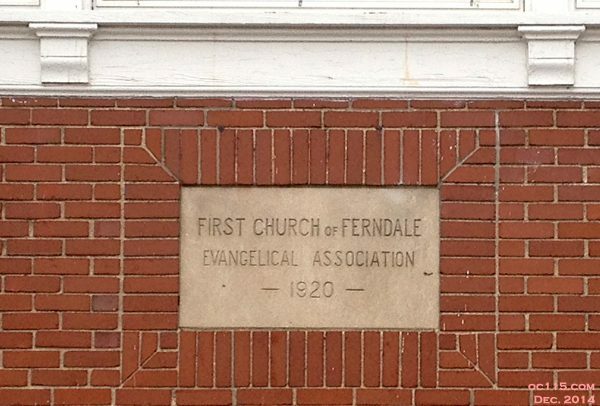 “The Evangelical Association was the first church founded in Ferndale. 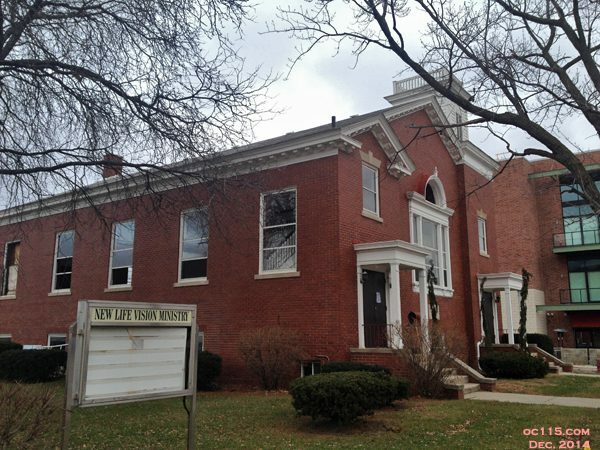 The congregation began meeting in 1916, in a storefront on Woodward Avenue as the “North Woodward Mission” of the Evangelical Association. It was used for village meetings and events, including war bond sales drives, Red Cross activities, and the school’s physical education training. In 1920 the present brick building was constructed. The wood frame building was moved to west on what are now parking lots and used until 1927 by the City of Ferndale police and fire departments. The congregation continued the tradition of hosting community meetings as well as the congregation’s services and events in the new church. The Ferndale Kiwanis Club met in the building for 50 years. In 1946 the Evangelical Association merged with the Church of the United Brethren in Christ at a national level. This was followed in 1968 by a national merger with the Methodist Episcopal Church to form the United Methodist Church. The Ferndale church was renamed St. Paul’s United Methodist Church.